The Elo 17B1 has reached end of life. It has been replaced by the X-Series 17-inch. The Elo 17B1 POS compuer offers a variety of configurations, fantastic if your installation has special requirements. The combination of advanced computing power and Elo´s terrific touch technology makes the 17B1 a great fit in retail or restaurant locations. Elo built the 17B1 to hold up to the most demanding POS software, ensuring long- term, easy operation at your business. 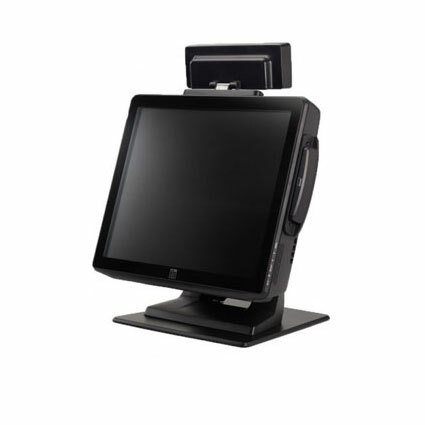 Powered by an Intel Celeron Dual Core processor at 2.2 GHz and up to 4 GB of RAM, the 17B1 runs POS software with ease. The 17B1 ships with your choice of Windows-based operating system, including Windows XP Pro, POSReady 2009, or Windows 7. Depending on your touchscreen needs, the 17B1 can come with Acoustic Pulse Recognition, Intellitouch Surface Acoustic Wave, or Accutouch Resistive touch technology on a crisp 17" display. The 1280 x 1024 native resolution ensures software is displayed fully and easily, maximizing the displayable content.